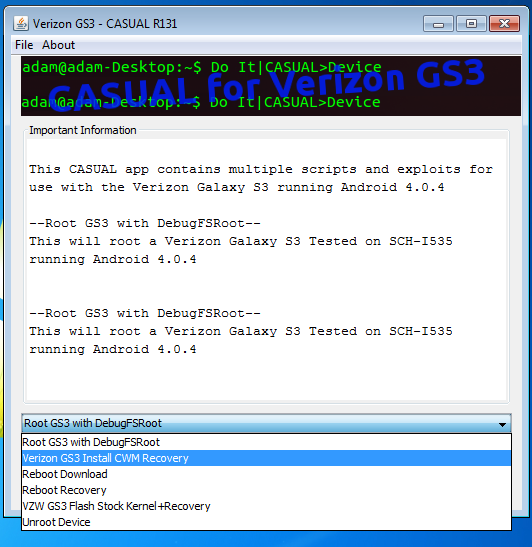 The first root method that was released for Verizon’s version of the Galaxy S3 was to say the least, not optimal. The second version was much less intrusive, however, it required adb and a bunch of manual work that we know many of you are not fans of. So for those that have been putting off rooting because neither of these methods were easy enough, your option is now available. A new 1-click tool has been created by XDA member AdamOutler, that will give you root, a custom recovery, boot into Download and Recovery modes, and unroot your device should you need to. The tool was released yesterday, so feel free to give it a few test runs and provide feedback to its creator. MetroPCS Launches World's First VoLTE Network and Smartphone, Take That Big Four!